One Bad Day Trailer: Daredevil: Season 2! 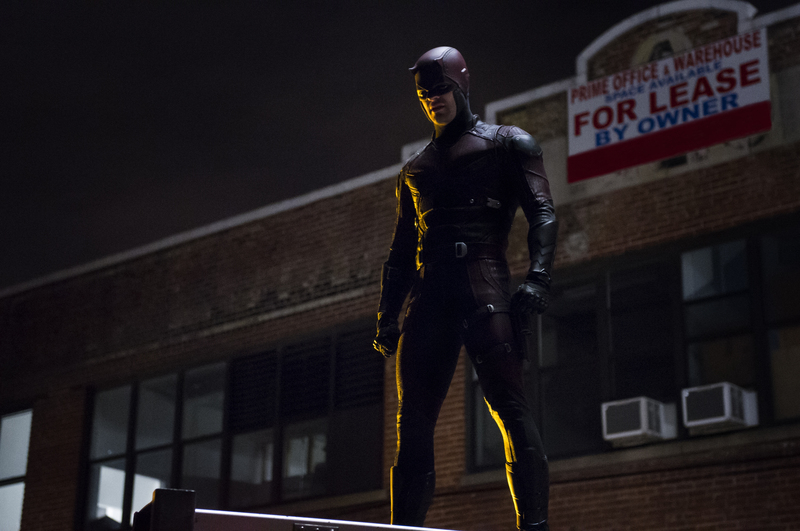 Meet Frank Castle in the new Daredevil trailer from Netflix. Note: this is part one – part two of the trailer debuts on February 25th (or, this is how you tease a trailer, part 2). Check it out after the jump. Daredevil returns on March 18th. Daredevil is “the man without fear”. Netflix’s first original live-action Marvel series, created by Drew Goddard, has nothing to fear as it gets picked up for season 2! Daredevil, created by writer-editor Stan Lee and artist Bill Everett, made his first appearance in Marvel Comics on April 1964. Over the years, this superhero has appeared in a movie, animated series, television, and video games. This time it would make an appearance streaming online. The 13 episode series debuted on April 10, 2015 to critical acclaim. 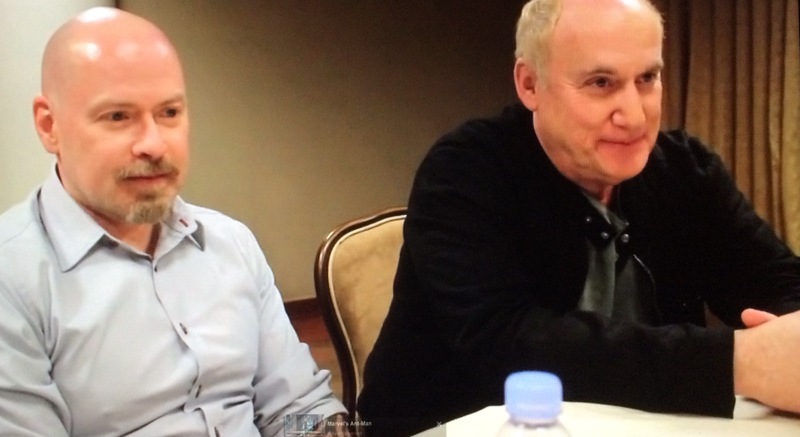 Showrunners/executive producers Steven S. DeKnight and Jeph Loeb joined reporters to talk about Marvel’s “Daredevil“. Every superhero must have a friend. Even Daredevil. First there is goofy but brilliant attorney Foggy Nelson (Elden Henson), best friend and law partner of Matt Murdock. Then there’s Karen Page (Deborah Ann Woll), the faithful and organized receptionist for the law office of Nelson & Murdock. 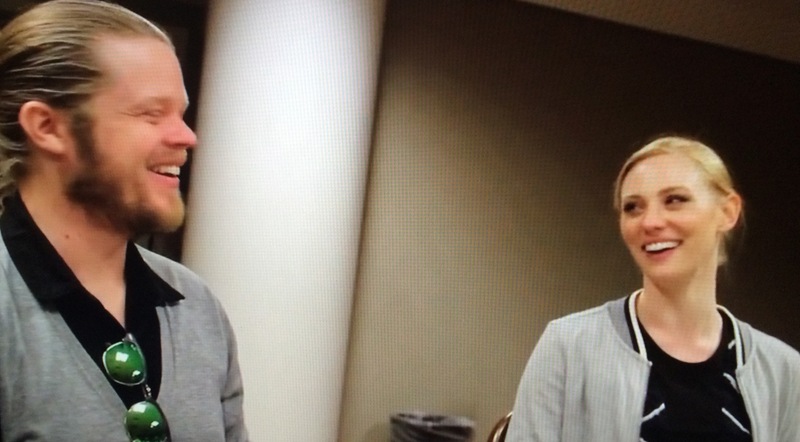 Elden Henson and Karen Page joined reporters to talk about Marvel’s “Daredevil”. Daredevil Takes It To The Next Level! Netflix’s Daredevil series is something of a groundbreaker. Marvel’s blind superhero has long been a critical favorite and, it seems, the darker the comic got, the more popular it became. 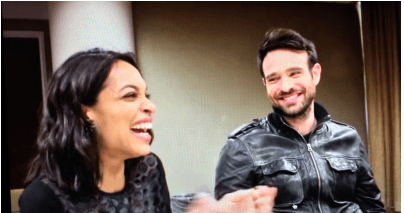 The series, created by Drew Goddard – who wrote the first two episodes and is credited as an executive producer, captures the feel of the versions of the character popularized by the teams of Frank Miller and Klaus Janson and Brian Michael Bendis (Powers) and Alex Maleev. It’s a kind of Mean Streets take on Hell’s Kitchen’s best known costumed hero.